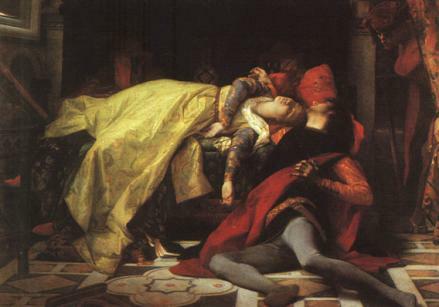 Death of Francesca da Rimini and Paolo Malatesta by Alexandre Cabanel. Oil on canvas, 1870. Many people, not all of them outside Italy, think that the Divine Comedy is a rather misshapen story. And indeed, if it were just a story, it would be back to front: the narrator has an exciting time in Hell, but Purgatory, when it is not about art, is about theology, and Heaven is about nothing else. What kind of story has all the action in the first third, and then settles back to stage a discussion of obscure spiritual matters? 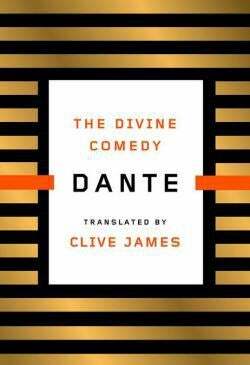 But the Divine Comedy isn’t just a story, it’s a poem: one of the biggest, most varied, and most accomplished poems in all the world. Appreciated on the level of its verse, the thing never stops getting steadily more beautiful as it goes on. T. S. Eliot said that the last cantos of Heaven were as great as poetry can ever get. The translator’s task is to compose something to suggest that such a judgment might be right. Dante is not only tunneling in the depths of meaning, he is working much closer to the surface texture: working within it. Even in the most solemn passage there might occur a touch of delight in sound that comes close to being wordplay. Still with Paolo and Francesca: in the way the word “diletto,” after the line turning, modulates into “Di Lancelotto,” the shift from “-letto” to “–lotto” is a modulation across the vowel spectrum, and Dante has a thousand tricks like that to keep things moving. The rhymes that clinch the terzina are a very supplementary music compared to the music going on within the terzina’s span. The linked rhymes of the terza rima were a gesture toward form, marking the pulse of the onward surge of the great story, which was driven by its poetry; and would be infinitely less great without its poetry, just as Wagner’s Ring cycle would be infinitely less great without its music. But Dante’s formal requirements for himself went down to the very basics of the handling of language. It was all very precise, and yet it all added up. Though it was assembled from minutely wrought effects, the episode really did have rhythmic sweep. My wife, clearly touched by my sudden impersonation of a proper student, said all the rest of the poem was like that too, including the supposedly colorless theological bits. Every moment danced, and the dance was always moving forward.